When you have a dog that is ill, it can be difficult to decide just what the best approach is in terms of finding a cure and supporting overall health. When it comes to a dog with cancer, it may surprise you to find out that scientists and nutritionists are starting to learn that diet plays a very large part in both the cause and the cure when it comes to a dog with cancer. Therefore, when you are searching for help for your dog’s illness, you should never discount the importance of a healthy dog cancer diet. One change that has occurred in recent years is that dogs have become heavier, much like their owners. In fact, one of the reasons why dogs have gotten larger and therefore less healthy is because they are not getting the kind of activity that they need. Also, many commercial foods are made with the same kind of cancer-causing, obesity causing ingredients that cause the same problems in humans. The diet that you feed your dog ideally should be made from real, whole fresh food that’s left in its raw state and not from processed food in cans or bags. While this may be difficult for most people to deal with, once you get in the habit of feeding your dog a healthier diet, it is actually more affordable and easier to do than feeding them highly processed foods that can end up causing cancer, obesity, and other illnesses. When you are looking at various dog cancer diet recipes, one thing to keep in mind is that dogs are equally susceptible to inflammation and the problems that are associated with it as humans are. When you experience pain in your joints, it is usually the result of inflammation and that is commonly found in dogs as well. What you may not know is that much of the food that you are currently feeding your dog is causing that inflammation because of an excess of Omega-6 fatty acids and a deficiency of omega-3 fatty acids. If you add in the excess sugars, salt, processed carbohydrates and chemical additives, the result of this is that dogs now experience higher rates of inflammation, heart disease, diabetes, liver cancer, kidney disease and obesity than ever before. In order to ensure that your dog lives a long, healthy life, it is important that he or she is fed a regular diet that provides substantial amounts of high value calories, but not so much that they begin to put on weight. It’s important that those calories are nutrient rich from a quality food source. Equally important is that your dog gets the amount of activity that is necessary for their breed and size, and that any signs of inflammation are addressed immediately. If you are currently feeding your dog commercial foods, then it really should come as no surprise to you that you are essentially causing your dog’s early demise. Instead, choosing a diet that is made from the same kind of meats that you would eat, with obvious adjustments for nutritional and caloric value and left in their raw state will result in a fast reduction of inflammation and obesity. One additional goal of choosing a diet for a dog with cancer is that you need to not only eliminate the potentially dangerous ingredients that are commonly found in today’s commercial pet foods, but provide your dog with the kind of nutrients that you would expect in your diet to support health and longevity. The best diet for preventing cancer in dogs and the best diet for curing dog cancers is always going to be the diet most closely aligned to your dog’s biology. 40 million years of natural selection has taught us that the canine species needs fresh food in its raw state for active health benefits. 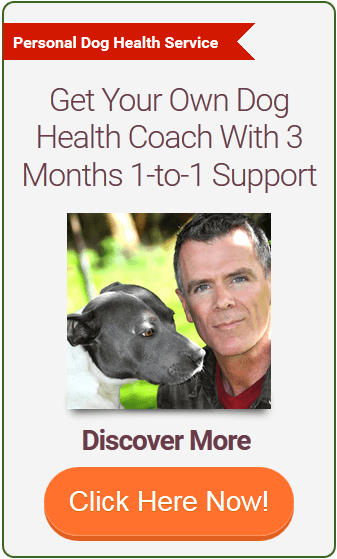 Watch this short video I made that talks about Dog Cancer Symptoms, Diet and What to do Next. 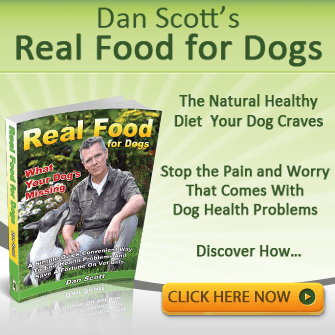 What a Raw Food Diet for Dogs Will do for Your Best Friend? STOP cancer growth in its tracks once the immune system has been re-activated from its depressed state via the consumption of commercial pet food in cans and packets. Can A Raw Dog Diet Really Make A Difference? When your dog has cancer, a dog diet that is high in excellent-quality proteins, has a moderate amount of animal fat, and high levels of omega-3 fatty acids is important. A balanced biologically appropriate raw food diet is the key to significantly better health for your dog than the kinds of inflammatory causing grains and starches that are currently used as the primary ingredient in commercial foods. By laying the foundation with the correct diet your dogs immune system re-builds itself back to full strength. 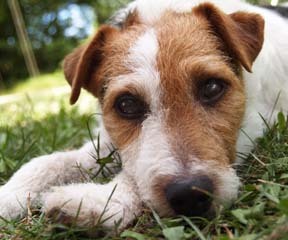 From there it can begin to properly protect your dog from disease and take on the cancer cells with surprising vigor. Before long – and in many cases I have witnessed – the war is won by your dog’s body and the disease has been closed down so fast that several months down the line, the cancer has all but vanished or dying back rapidly. No drugs, no chemo, no surgery and NO canned and packet food necessary. All that is needed for real results is fresh, natural, whole foods served raw. 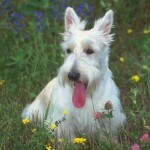 They boost your dog’s immune system and from there you allow nature to takes its course. This from HRHGrey: 2 months on from contacting me. Mr.Dan, thank you for your videos. Eversince i fed raw meat to my husky with cancer, His condition improved a lot! Before, his limbs are weak and can hardly walk. Now, he can run already! We can actually run together! You have no idea how helpful you are both to pet owners and to pets. By the way, I am from Philippines and that’s how far your Help reached. And this from Linda Pearson: 59 days on from contacting me. So I replied to Linda, gave her all the advice I could for her dog’s circumstances and diet needs and to ask any questions she needed answers to and wished her well. And this past week 59 days later, Linda replied back with the following message. You probably already realized what a difference a healthy diet can make in your own life, and the same is also true for your dog. In addition to healthy dog diet, increasing your dog’s activity level, eliminating chemical toxins, including tobacco smoke and unnecessary vaccines will help to prevent cancer and also help your dog’s body heal itself. The key to cancer prevention and cancer healing is fresh food. 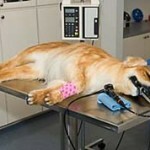 In many ways this must come as a relief that all you need do to ensure the gold standard of dog cancer diet healing is simply feed them the right food. Hands down the dog cancer fighting winner – as tested and proven. Hi Laura, Start your new puppy on a full raw food only diet. The puppy will take to it naturally and easily and will live a long healthy life with very few health problems. If your unsure of what and how to start this diet, my book covers everything you need for success and peace of mind. 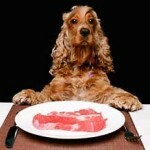 Good luck with your new puppy, a raw food diet is the best start they can have in life. On Wednesday, October 9, 2014, the Association for Pet Obesity Prevention will conduct our Seventh Annual Pet Obesity Awareness Day survey. In order to do this, they need your help. On October 10 we are asking you to record simple information for each pet that you perform a routine examination on that day. How many pets and the detail of information you obtain is up to you. Obviously more is better but our goal is to determine more accurately the exact number of pets in the United States that are overweight or obese. What could be better than curing your dog’s cancer? That’s easy! How about avoiding the illness in the first place? No one has done any clinical trials or statistical studies that prove you can prevent cancer in at-risk dogs. “But common sense and clinical experience make a strong case for avoiding anything that exposes an animal to known carcinogens or weakens the immune system. Hi Dionne, good point, clinical trials with a raw food diet would underline just how effective it really is and how nutrition alone has a powerful curative effect. As so many have stated over the ages, food is medicine. Hi Ronald, thanks for letting us know. Awareness about pet obesity is a good thing and the great thing about feeding fresh food to your dog is they always settle back to normal weight levels – no fuss, just healthy eating back to great shape and weight. I hate to even think about this in my pets but I guess it is something that can happen and is a very real part of life so I should prepare myself for the what if right? This makes a lot of sense as far as being in the preventative stage first of all and taking it seriously. A steady regime of exercise would be good for this as well right? karen, we have been forced into this position and it’s up to us to be the change we want to see. Prevention will always be the key. Even if you dog has problms now, you can fix them with a healthy diet of fresh food and prevent much more serious health issues down the road. Yes exercise is the second key to great dog health after diet, our dogs are born athletes and need more exercise than we realize. For those who may not have known, May was Pet Cancer Awareness Month, a time to spread awareness of the symptoms of cancer in dogs and cats. As cancer is the leading cause of death in cats and dogs, knowing the symptoms your pets may present if they develop the disease can help you and your vet diagnose and treat your pet sooner. 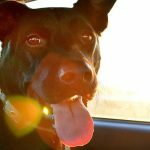 So I’m glad this blog serves as a year round reminder for pet lovers. My dog was diagnosed with lymphoma. His platelets were found to be low so the vet put him on prednisone. His platelet count went up and some of his swollen lymphnodes went down a little. Chemo is an option but I’m really leaning towards not going through with chemo. I am not sure that it will benefit him and fearful that it may make things worse. Since the diagnosis I immediately changed his diet after finding a pet sanctuary in TX that has had success with a ketogenic diet—high fat low carb diet. He is primarily eating 70/30 ground beef and fibrous green vegetables. I’ve added in pro and prebiotics in addition to salmon oil. I still believe he may be lacking other nutrients but I do not want to disrupt the diet. What other supplements should he be receiving? Hi Shawna, your off to a good start, but to really get into this and get my hands on helps (and I’m helping a few clients with the same situation), Click Here and take a look to see if it’s right for you (I think you’ll be very interested in the 1to1 support program). This way you and I can get down to the business of healing your dog because there is a whole lot I can help you with that I can’t go into here! Chemo has a 3% chance of success, so don’t go there (whatever the vet says… I’ve done my research!) And please… ZERO carbs, ok. I understand and get it that a raw diet is the best for the dog. but if the dog won’t eat it how does this help? My dog has been on a raw diet he now has cancer tumors in three different places in his body. I can’t get him to eat I need to begin shrinking the tumors and reboot his immune system. Do you have suggestions? Hi Jacqui, sorry to hear that. 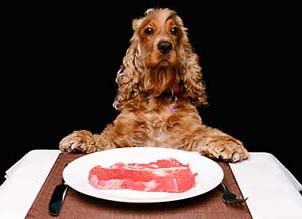 There are a number of ways to get your dog onto a raw food diet. As you can imagine, after years on kibble, a raw diet seems bland and unwelcome to some dogs but one way to transition your dog is to flash pan fry the meat in some hot sizzling butter just enough to seal the outside but leave the center raw. Do this over several weeks and cook less and less until your dog accepts raw only. I’d also add a quality probiotic, this is the best, to help smooth the transition and avoid tummy troubles in the early stages as the digestive juices have to evolve from one diet to another and this helps a lot. Get your dog onto CBD oil now to help slow down and reduce tumors while at the same time boosting your dogs immune system and alleviating any pain that may be present. It’s an amazing option concidering all that it does and I’ve tested it a lot over the years, works great. And, if you want my one to one service option where we work together and I coach you through diet transition and longer term support plus a members portal full of instruction videos included at a very reasonable price, that’s an option for you to concider. Hope that helps.